With Facebook user base reaching 1 Billion connected people mark and integration of more than 7 million websites, Facebook is the number one social networking platform. While every developer wants to be on this bandwagon to create applications and games, there are numerous tutorial websites sharing the tips and tricks on Facebook evolving API. For the assistance in Facebook apps development, It’s alright to use snippets from online websites but if you are developing a complex application or game, stand alone snippets won’t take you far. On top of that, you have a ever evolving Facebook API which makes development more difficult. Also in larger complex Facebook applications, if you don’t adopt a consistent approach from day one, you might land yourself in bigger problems. 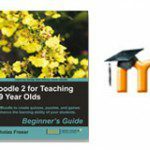 For consistent approach, one way is to follow some Book where all most commonly used features and scenarios are explained with examples and code. Facebook launched Graph API last year but they have made several updates since and now requiring all legacy apps to migrate to Graph API, and for Facebook Open Graph Beta, you can get some really useful ideas with some intuitive ready-to-use applications from Facebook Application Development with Graph API Cookbook. This book focuses on both the concepts and implementations necessary to develop Facebook applications and provides ready-to-use code for common use cases and scenarios faced by most developers while developing Facebook applications. This book guides the reader step-by-step, from start to finish, through various stages of Facebook application development. 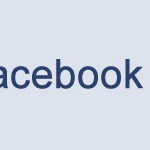 Chapter 1, Creating a New Facebook Application describes the first step towards developing a Facebook application which includes Facebook application registration process and downloading its PHP – SDK. Here, we will learn how to set up the environment and perform basic authentication to begin with Facebook application development process. 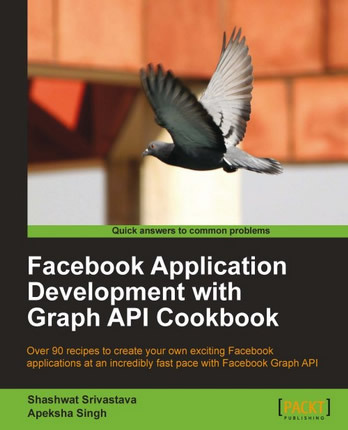 Chapter 2, Be a part of Social Graph presents some recipes to perform the most commonly encountered tasks of application development using the Facebook Graph API through PHP. Here, we will get accustomed to Facebook objects and connections and ways to use them to retrieve data. Chapter 3, Querying Facebook demonstrates how to use the Facebook Query Language to query Facebook’s humongous database for retrieving complex user data. This book will provide enough ready to use examples that won’t just give you understanding of the working of Graph API but also will give you jump start in your development effort.